Cable knitting Without a cable needle takes the fear of cabling away. How many times have you wanted to knit some cute baby pattern but it required you to make cables. I am not sure why, but we are afraid of cables. Maybe it is because we have to use THREE needles. Yes. two knitting needles and a cable needle. And sometimes you can’t find the cable needle that is the same size of the needles you are doing the main knitting on. So you just sort of fake it and make do with the size you have. Well I am thrilled to share with you a fantastic find. Cabling without a cable needle. The following very short video explains how it is done. And the amazing thing you could adapt this to any baby knitting pattern, Use it as a trim or a part of the main body. Explore the possibilities. This makes an easy knitting pattern out of something more complicated. It is really cool! I hope you become as excited about this as I am. 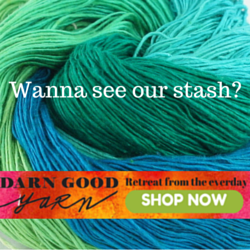 Go knit something! Did you know you are on the first page of Google? Why Yes I did! thank you for noticing. I admit, I have not seen this web page for a long time, however, it was another pleasure to see such a good factors and ignore it. Thank you for helping making people more aware of best notions. Thanks for stopping by again, I hope you’ll be back some day again. I do accept as true with all of the tips youâ€™ve offered on your post. They’re extremely convincing and will undoubtedly function. Nonetheless, the posts are too short for beginners. Could you please prolong them a bit from next time? Thanks for the post. I do appreciate your comment and your time for coming to visit. thank you. This blog is not really meant for just beginners. If you have need of assist. 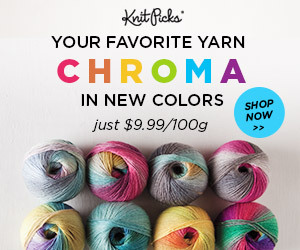 Maybe visit my other blog, http://www.bestdarnyarns.com You might find some help there.